On October 3, 2013 at 2167 Rayburn House Office Building, in Washington, D.C., Congressmen Patrick Murphy and Trey Radel held a joint Congressional Briefing on the plight of the St. Lucie and Caloosahatchee Rivers and the Indian River Lagoon. The many color photos gathered by Rep. Murphy from concerned residents used to paint a clear picture of the extreme devastation wrought by nutrient pollution-fed algae – the slime, goo, muck and gunk were successfully used to make our point: Ugly, sick water is no tourist attraction. 5. Not just “good” but the BEST: the busload of activists that put their daily lives aside to travel to D.C. to bring their stories and demands to the powers that be. The “Bad” is what was not discussed. 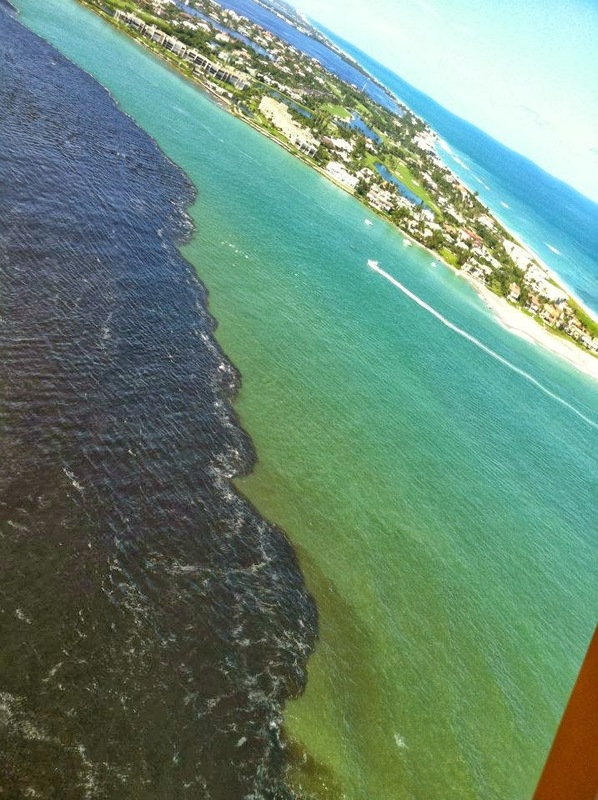 c. leaves two-thirds of all Florida’s flowing waters (including ALL canals, ALL tidal creeks, ALL of South Florida flowing waters, and the majority of the tributaries that flow into Lake Okeechobee) without pollution limits. Our coastal estuaries are getting hit with POLLUTED water from Lake “O” – it is not just the quantity, but the very poor quality of the discharged water that is wreaking the havoc. Until Florida politicians have the guts to take on the state’s biggest polluters – make them pay for pollution prevention at the source of the problem – we taxpayers will have to pay for the cleanup. Kudos to Jennifer Hecker of the Conservancy of Southwest Florida for asking Representatives Murphy and Radel what Congress can do about the weak Florida pollution rule. We will see if she gets the right answer. To see the video of the whole proceeding click here – Hecker’s question is at 3:56:51 on the clock). 2. The U.S. Sugar land purchase deal was all but ignored in the briefing. We know that in order to restore the Everglades, in order to handle the large amount of water that makes its way to Lake “O”, we must send the water south – that cannot be accomplished without the land for a flow way. The briefing got a lot of press coverage: Huffington Post, Miami Herald, CBS-12 TV, Daytona Beach News-Journal, Marco Island Sun Times, Fox-4 TV, Florida Today, and Orlando Sentinel.